Lady Gaga lost her Superbowl virginity last night and boy did it go down well. I mean, she leapt off the stadium, guys. It was crazy! Gaga performed a medley of her greatest hits and whilst we were really into the tunes, it was that mesmerising glittery Versace bodysuit that had us all cooing like magpies. If you know your glam fashion, you'll already know this is a creation from Ms Donatella Versace. If you didn't know, it's time to get you acquainted with some of Versace's greatest hits. For someone who started off as her brother's muse, Donatella Versace hasn't done half bad at carving her own badass career. 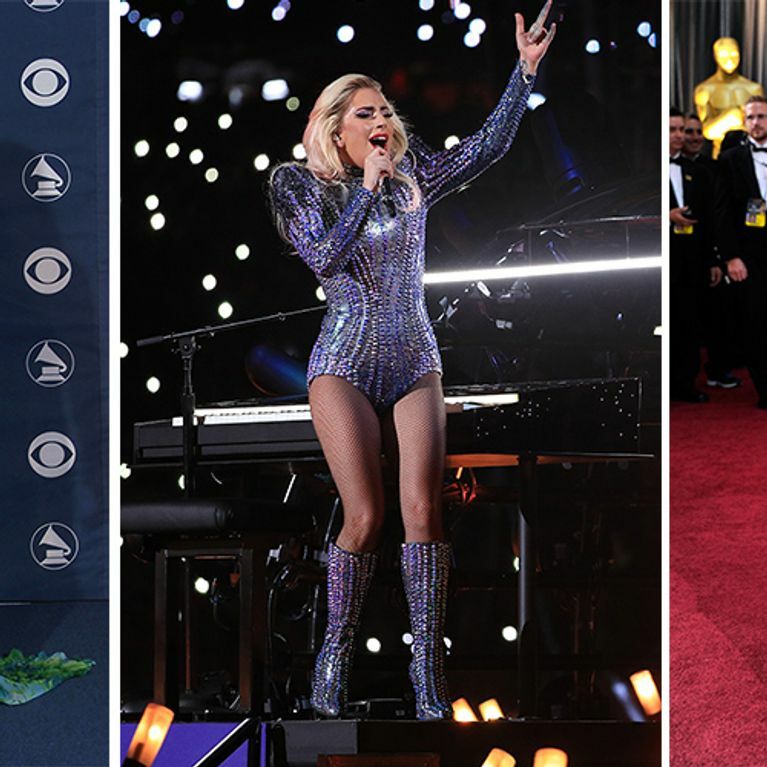 On Sunday Lady Gaga added a legendary Superbowl performance to her CV, and it was Ms Versace that she trusted to create her eye-catching outfit: a long-sleeve body suit encrusted with Swarovski crystals and a pair of boots to match. There was a point after Gaga had dove into the stadium and was hanging by two thin ropes, that she looked like a sophisticated disco ball at the world's biggest school disco. It was a sight to be seen to say the least. ​This is of course not the first time Donatella has made an outfit that got everyone talking. The original blonde herself has created some pretty memorable dresses in her time, including Angelina Jolie's knee-popping black number that she wore to the 2012 Oscars. But even before that little black dress, she designed an even more arresting one - four words: Liz. Hurley. Safety. Pins. Donatella took over the Versace empire in 1997 as Chief Designer after tragedy struck her family when her brother Gianni was murdered on his doorstep. But we're sure he'd be pretty chuffed with how she's kept the company alive, creating some of the most memorable pieces the Hollywood red carpet has seen, as well as expanding the business to include accessories and homeware.